“Trouble getting up in the morning? Hate the harsh piercing sound of an alarm? Would you rather make something on your own that you could arguably buy for less money and time? 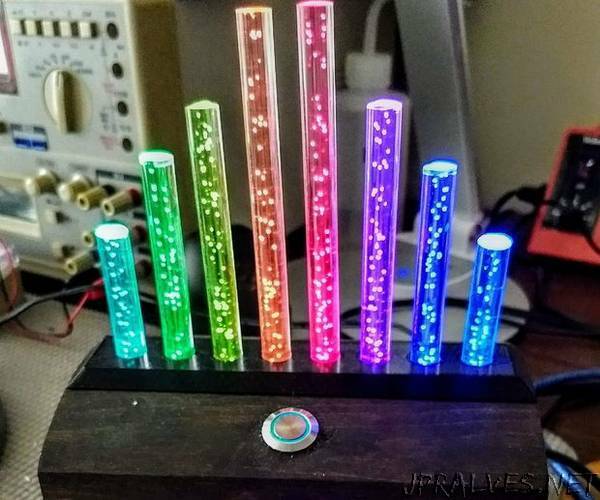 Then check out this LED Sunrise Alarm Clock! Sunrise alarms are designed to provide a more calming wake experience by slowly increasing in brightness around your set wake time. The idea is that this appeals to our natural inclination to wake up with the sun and ‘tricks’ the body into a balanced circadian rhythm making getting up easier. This might not be the case for everyone but personally I’ve found it to be helpful and particularly find the warm colors comforting in the morning.